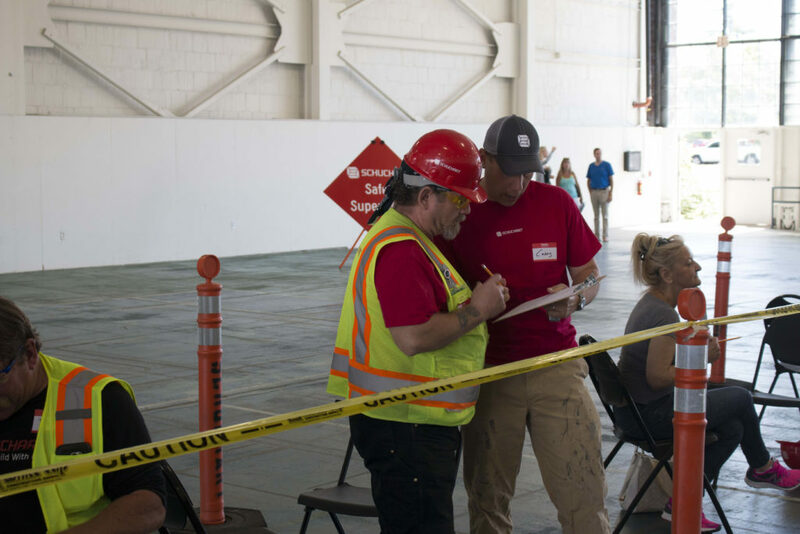 Last week, we held our annual Safety Super Bowl at Hanger 30 in Magnuson Park. This annual event is a time when we take pause from our projects to collectively gather and recognize safety. The purpose of the Safety Super Bowl is to emphasize the value of a safe workplace, and to celebrate our excellent safety record. The day began with a BBQ lunch (grilled up by one of our Superintendents) followed by a presentation of our Safety Leaders and a celebration of our accolades. 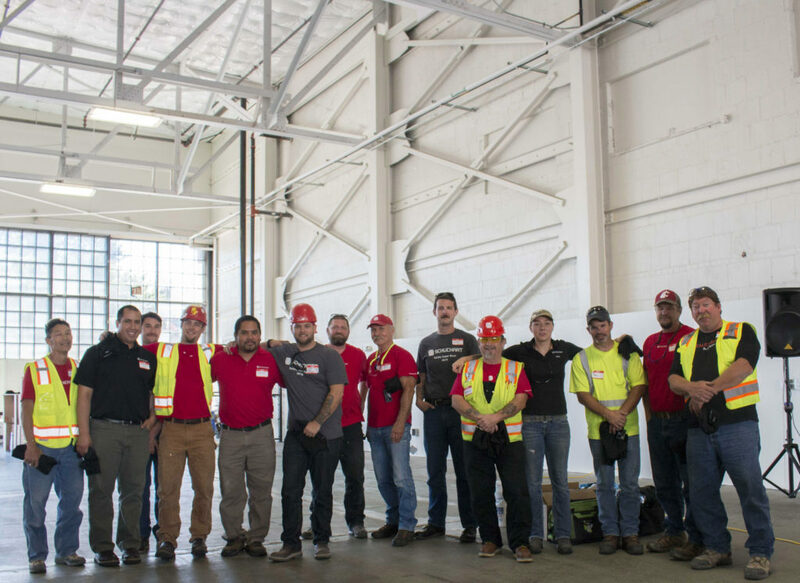 A special tribute was made to our Vice President of Operations, Bob Gregorini; in recognizing Bob as the 2016 Supportive Leader as a result of his unyielding commitment to a safe work environment. 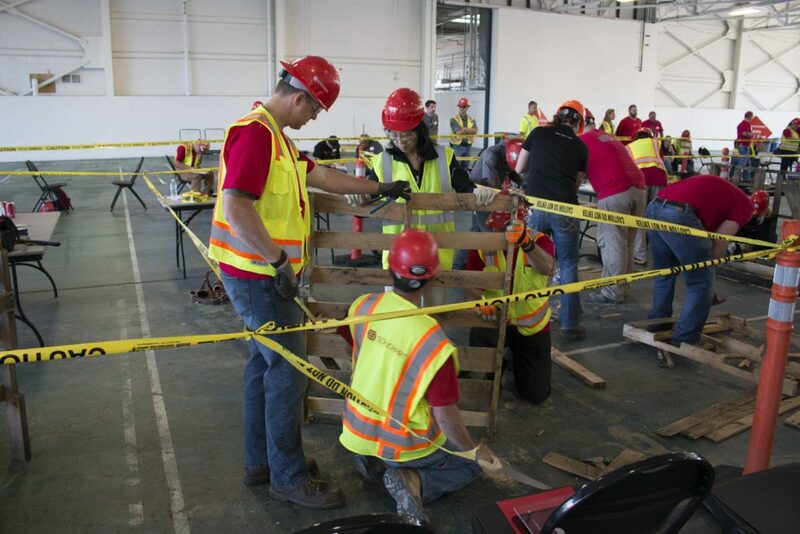 After fueling up on BBQ and following the safety presentation, our team was broken into design build teams and charged with the task of designing anything while seeing that it gets built utilizing limited communication tools. The extent of the supplied materials for each team consisted of two pallets, some nails and a few hand tools. The challenge related to communication was that the designers had to explain their vision to the builders without the use of drawings, all the while from 10 feet away. 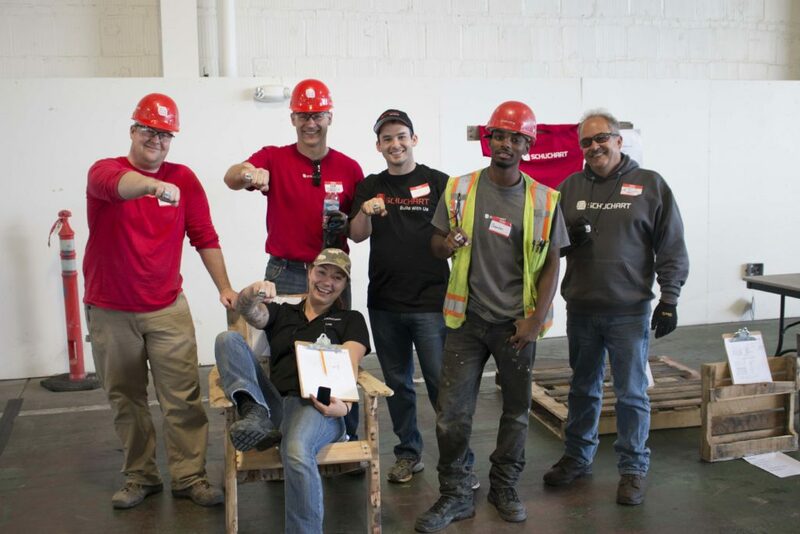 We were given one hour to build something; the team that executed the design best, while possessing a drawing that closely represented the finished product it and a high quality product won the first place prize – an awesome Super Bowl ring. The goal for the day was to recognize safety. Our Safety Leaders discussed with the group the importance of being safe and what safety really is; Safety is REALITY. Schuchart cares, this Annual Safety Super Bowl is important to us and we have fun! We work safely and because of our approach… everyone wins.